The Prodigy have been voted the most influential dance act of all time in a new poll conducted by festival types GlobalGathering. 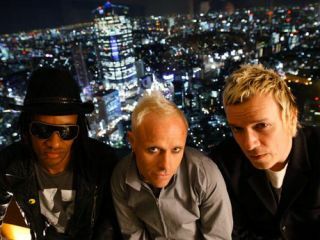 The Liam Howlett helmed troupe saw off competition from Daft Punk, Faithless and New Order to take the title, racking up an impressive 29% of the 2000+ votes cast. The lasting influence of electronic music pioneers Kraftwerk is also confirmed by the survey: they placed sixth.